Gorgeous, Custom, Lakefront Home! 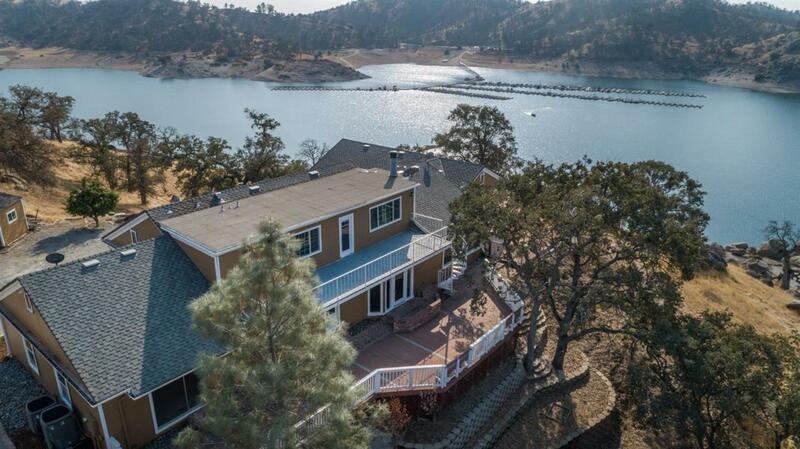 This isolated Millerton Lake home sits on +/-2.4 waterfront acres. The property forms a peninsula jutting into the lake directly across from Winchell's Cove Marina. This spacious, 4 bed, 3 bath, +/-4,074 foot home has a custom floor plan with gorgeous, unparalleled lake views all around. The house has been completely remodeled featuring brand new cabinets, granite counter-tops, all new fixtures, new stainless steel appliances, new flooring & new paint both inside and out. It also includes a large game room, which adds another 576 square feet. The two car garage was converted into the game room. Large patios wrap around at least 50% of the house, all with amazing views of the lake making it ideal for entertainment on those hot summer nights. This is a fantastic opportunity to create your own little paradise.